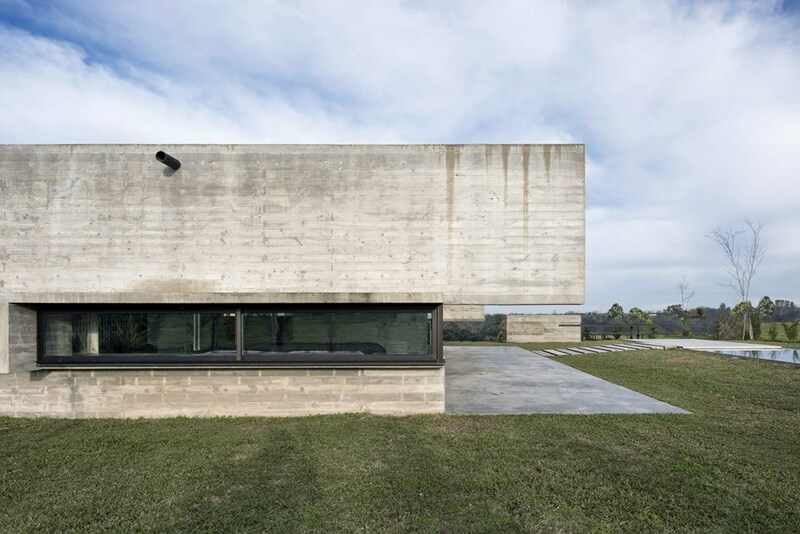 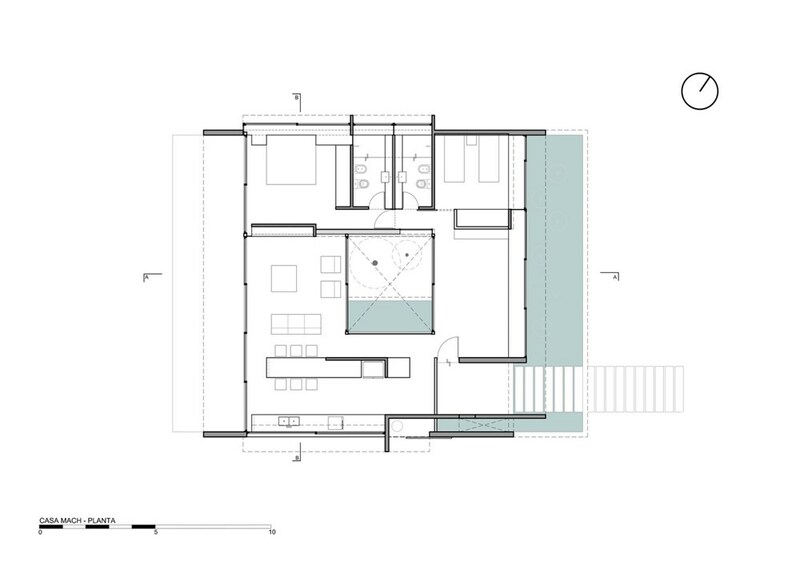 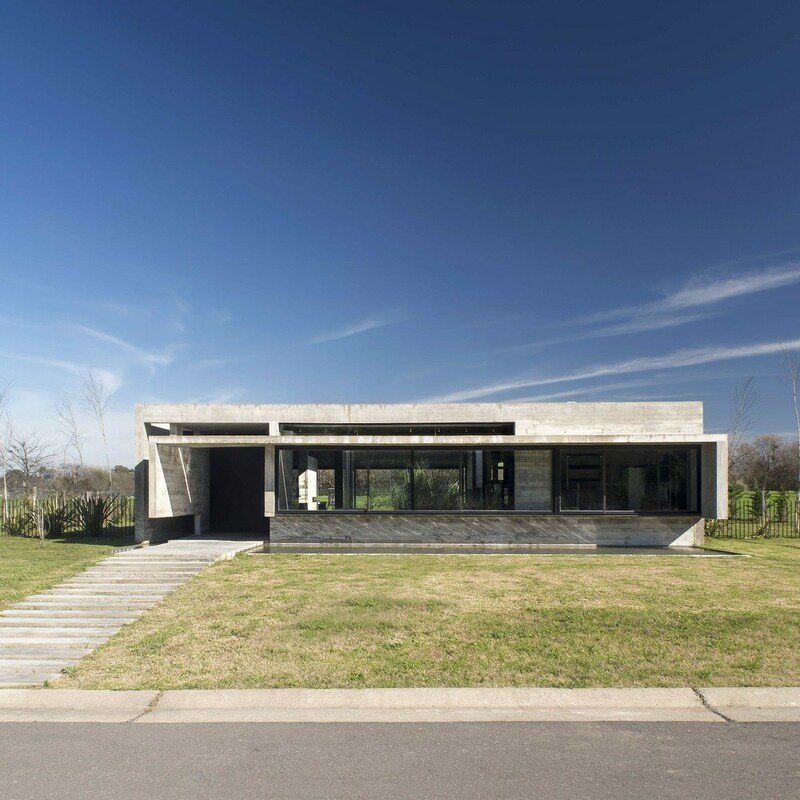 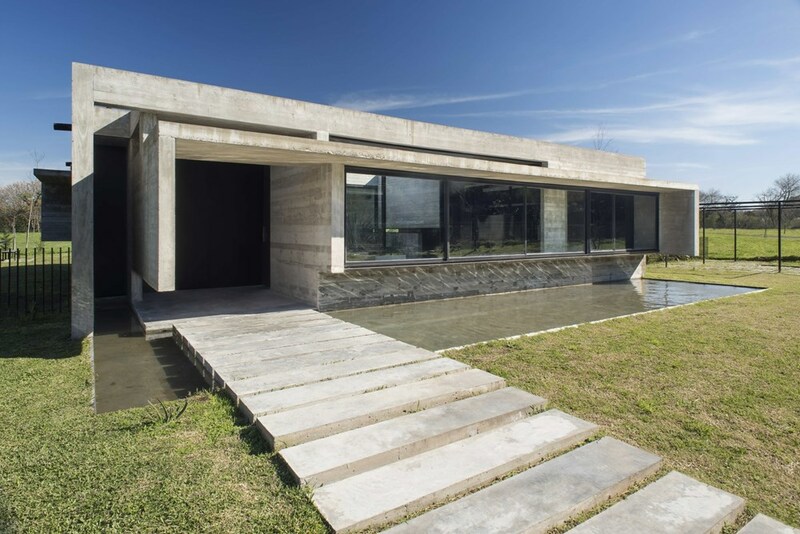 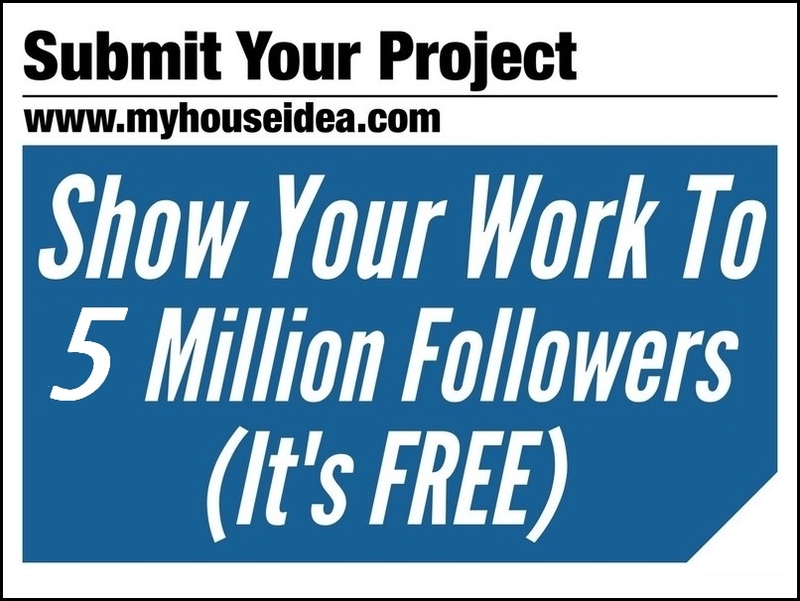 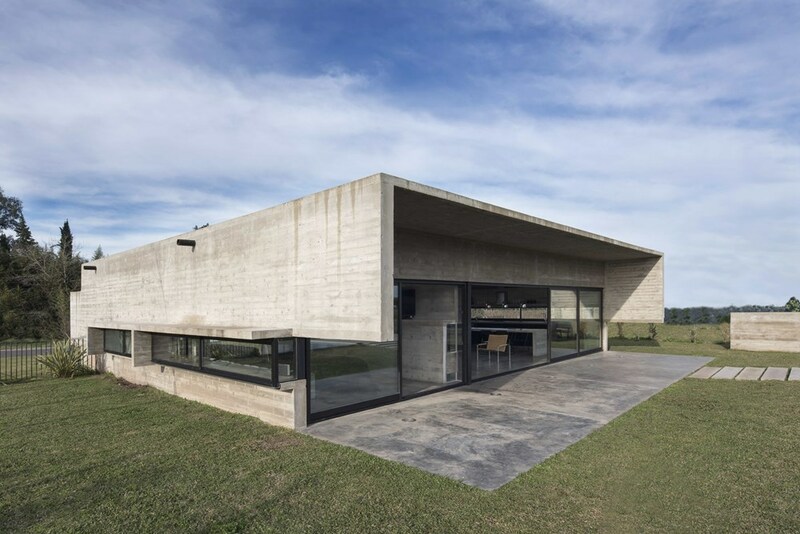 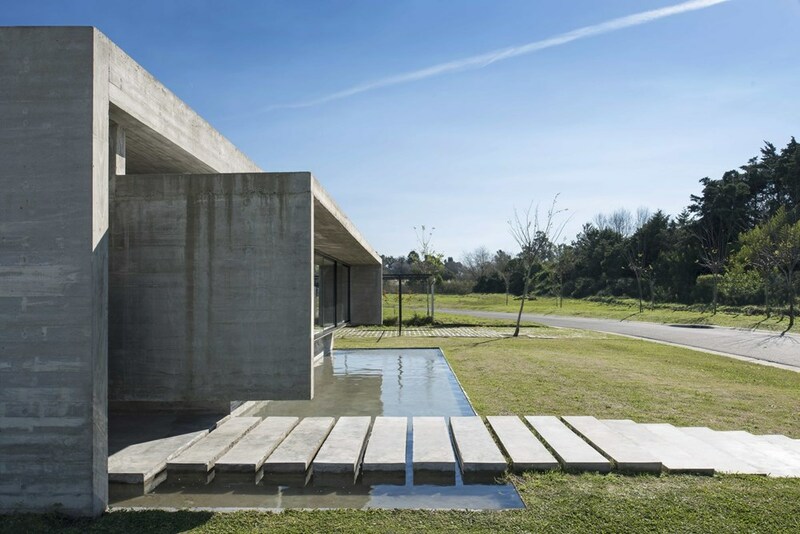 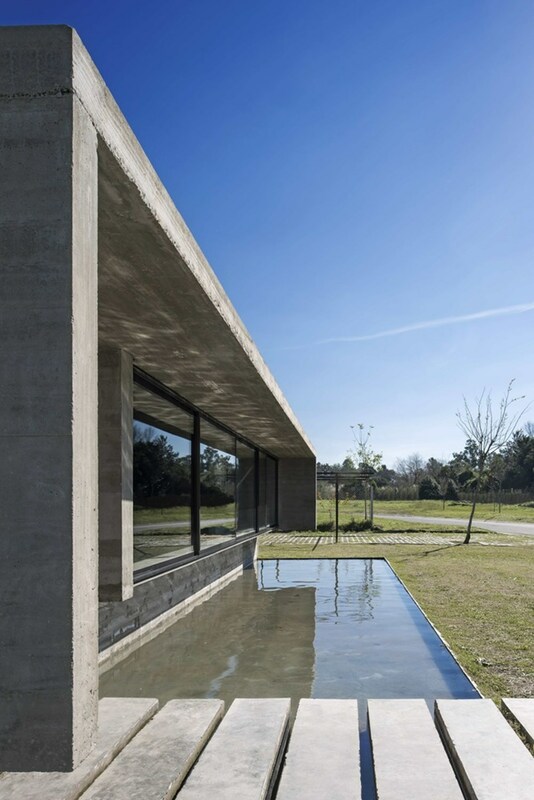 Mach House is a suburban permanent home located in a gated community in Maschwitz, in northern Greater Buenos Aires. 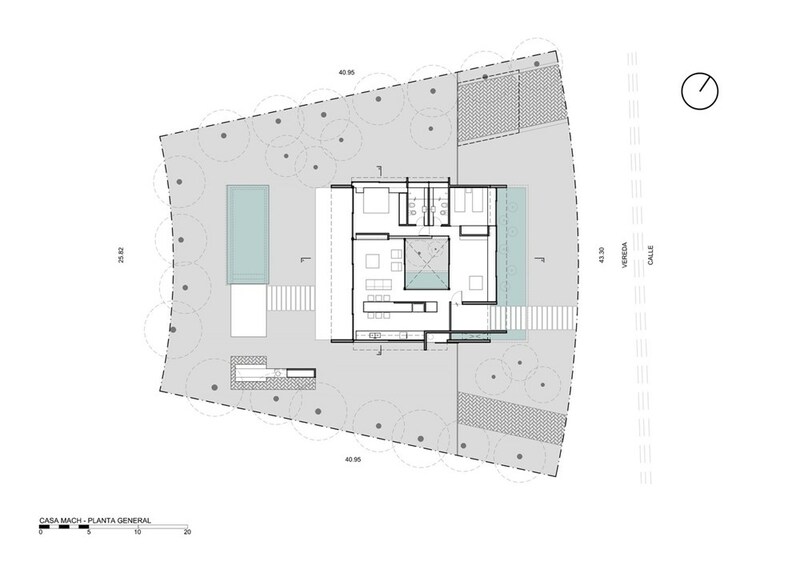 The curved streets layout defines the shape of the neighborhood’s lots and the one in which Mach House was built is a trapezoid with curved front and rear sides. 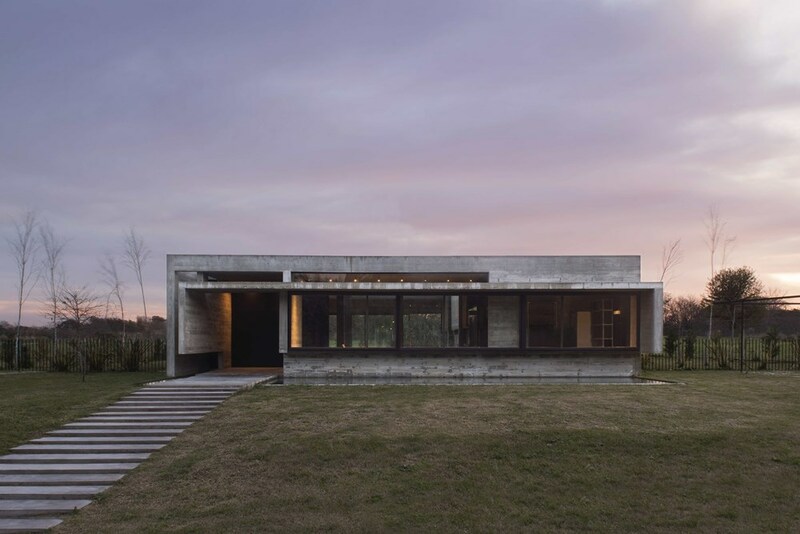 Located in the community’s border and in its highest area, the plot’s plain terrain was originally free of tree vegetation. 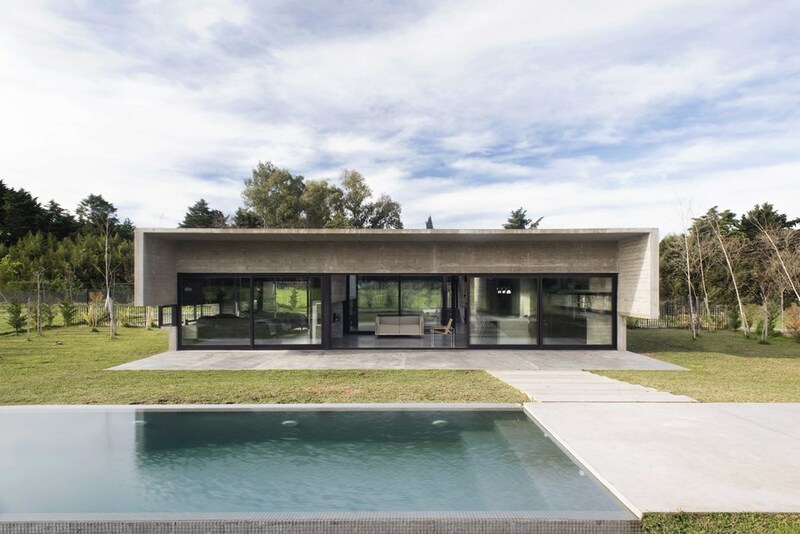 Having experienced what it feels like to spend some time in an exposed concrete summer house the Studio had built for his father, the commissioner requested a home for himself that shared its materiality and esthetic language.